Steve Gould of Thurrock, Essex, England, gets drunk and passes out. 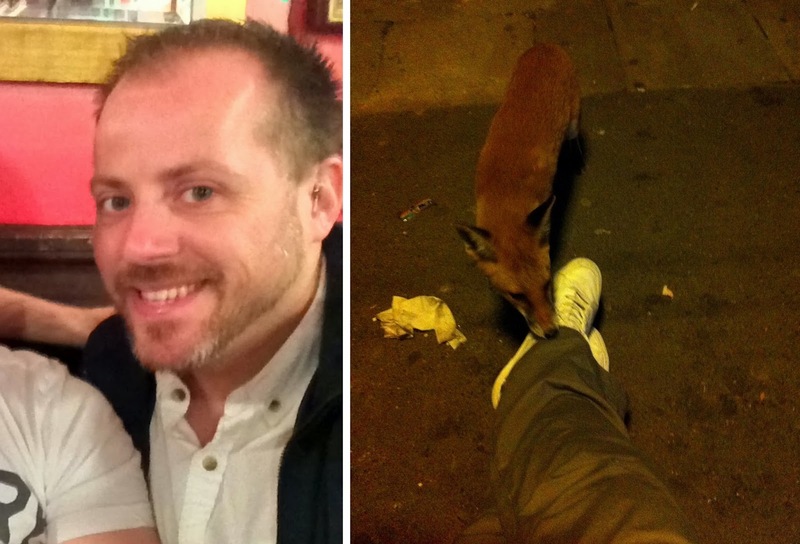 He is awakened at a local bus stop by a fox chewing on his pants and gets a picture of it. Foxes running wild in the streets of England. Lewiston, Utah, man opens a can of bear spray and discharged it approximately 100 feet from the entrance to the Lewiston Theater to see how it works. Man wakes up in dentist chair with no teeth after being told that only four teeth will be removed. Donny Grisby went to White River Dental in Columbus, Indiana.